E.T Development Group continues its legacy as a reputable team of home development professionals in the construction industry. Our success lies in our ability to build each home with passion, security and comfort in mind. We have maintained our unwavering commitment and dedication to our clients and our homes. 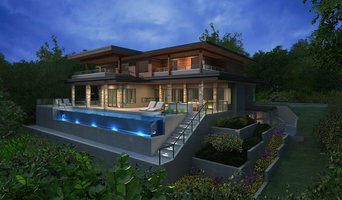 We specialize in: High-end Luxury Homes Custom Built Homes Smart Homes Sustainable Homes Project Management Site Planning and Preparation Home Extensions Why Choose us? We have made it our mandate to have a clear understanding of our clients, their passions and long-term vision for their home. We truly believe that the foundation of a quality home begins with flawless construction behind the walls, crafted for generations to come. Our commitment is to deliver an innovative construction experience to our clients by taking the time in planning every aspect of their project. 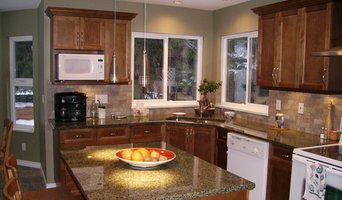 Completing our projects on schedule and within budget is our goal and an important priority. Kenorah Construction & Design has been delivering exceptional design/build custom home and custom renovation experiences for 35 years. At Co-Creation we are committed to upholding the highest standards of living and working. Our team regularly participates in self development workshops and programs and weekly team meetings. From your bathroom and kitchen to your living spaces to your home’s basement and exterior, let us help you get started on the right foot with your home improvement projects. 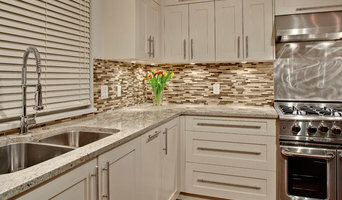 NOVERO Homes and Renovations Ltd.
NOVERO Homes and Renovations is a high level renovation company that has serviced the Greater Vancouver area for over 25 years. Kingswood Builders Group Ltd. has been engaged in building renovations, additions, restorations, roofing and home design for over 30 years. PAINT-ETC Home Renovation Services Inc. is your one-stop shop for a wide range of home renovations and strata restoration services.